​Local vendors and residents are complaining about an insatiable ghost who shows up late at night and ransacks their wares! This ghost seems to prefer any location where snacks or junk food can be found. 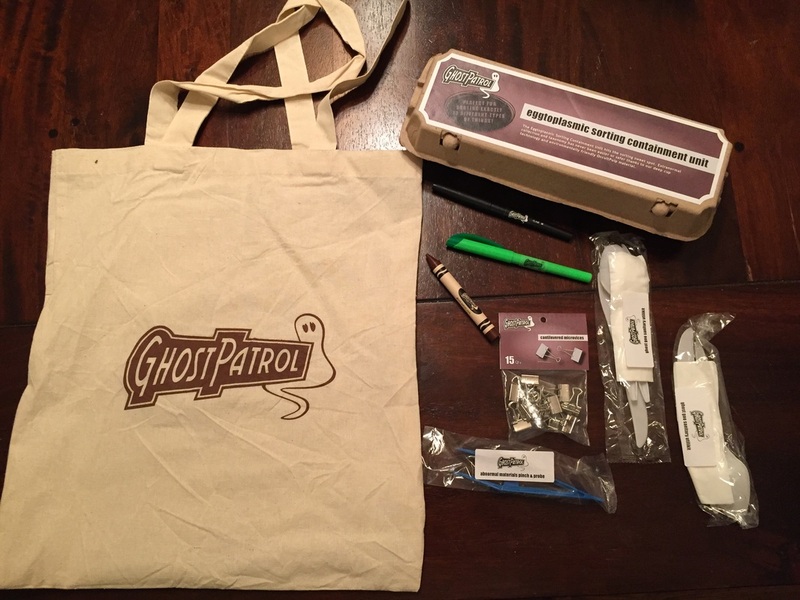 Players are given a map and a bag full of equipment for hunting ghosts! By navigating to various sites and solving puzzles, they are able to catch a ghost! Trust us, it's all very exciting. During the live game, players could use ClueKeeper to scan puzzles for additional spooky information. You, the home player, can't use ClueKeeper, but you can get the same information by installing the Zappar app from the App Store (iOS) or from Google Play (Android). Use the app to first scan a puzzle's Zapcode, and then scan the provided materials. How important this is varies from puzzle to puzzle, but there are some that cannot be solved without the scanned information. Plus it's pretty nifty, so go get the app!